Canada’s Sophie Schmidt will undoubtedly be one of the most experienced players on the pitch when Canada and England face-off for the first time in four years in Manchester on Friday night. The 30-year-old midfielder with two Olympic medals to her name is fast approaching 200 caps for her country and preparing for her fourth World Cup. The midfielder was also in the team which fell to England in front of 54,000 of their own fans in Vancouver at their home World Cup in 2015, but Schmidt is expecting a different challenge this time around with a change of head coach for the Lionesses. “They have a few new players as well,” Schmidt remarked. “We approach it as if they’re a new team. They’re building for a World Cup, they played a couple of amazing games at the SheBelieves Cup. Canada sit fifth in the world rankings as things stand, two places behind Phil Neville’s side and both go into the tournament hoping they’ll be leaving France with the trophy in their arms. Canada, like Friday’s opponents, are under new leadership after John Herdman moved to coach the men’s side and was replaced early last year by Kenneth Heiner-Møller. 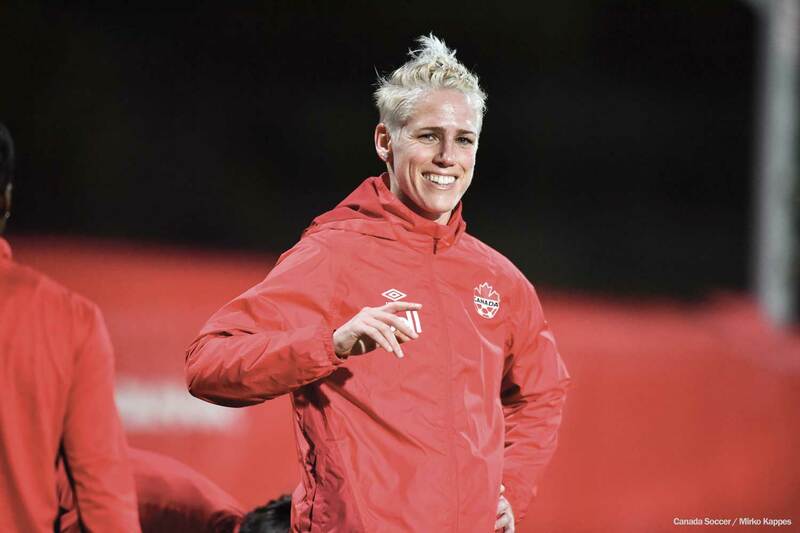 Like Neville, Heiner-Møller has teamed experience with youth and star forward Christine Sinclair is fast approaching Abby Wambach’s international goal-scoring record. Olympique Lyon and Paris Saint-Germain stars Kadeisha Buchanan and Ashley Lawrence are no longer the exciting youngsters of four years ago, but other emerging talent includes Jayde Riviere, Julia Grosso, Deanne Rose, and Jordyn Huitema. Jessie Fleming, 21, has already well surpassed 50 caps for her country despite still being a college player, and Schmidt admits her side has also undergone significant change over the past four years. Schmidt has just joined NWSL side Houston Dash after a spell in Germany with former Champions League winners 1. FFC Frankfurt, where she’ll now be playing with England’s Rachel Daly. It’s not Schmidt’s only link to the country, her bronze medal with Canada in 2012 came in the London Olympics, but it was the quarterfinal against the United States in Manchester that still lives long in people’s memories. A dramatic last minute extra-time defeat in a 4–3 thriller at Old Trafford was the last time Schmidt played in Manchester, but she has only good memories of her brief time in England. Canada and England have never drawn a match and while their last encounter in 2015 may still linger for those who were part of the Canada side on the day, Schmidt herself scored the winner in their last win over England, a warm-up friendly building up to the 2015 tournament. Lionesses boss Phil Neville said earlier in the week that his side were now a “target” for other sides after their SheBelieves Cup win and Schmidt admits Canada will see a win as a confidence boost. “Of course,” she said. “They’ve always been one of the top teams in the world. The results and performances from SheBelieves made it even more obvious how strong they are and they are a contender. With the tournament now just two months away, there’s the traditional talk of how it will be the most competitive World Cup to date, with the progress of nations such as Australia, Netherlands, Spain, Denmark, and others now ensuring there’s no monopoly on the trophy, and no certainty of who will triumph. Like the rest of the world waiting in anticipation to see who will lift the trophy in Lyon in July, Schmidt also believes this will be the most exciting tournament yet.